The designer hopes the charter will “ring some alarm bells” while making a business case for sustainable fashion, setting out a path for collective action to enable low-carbon production methods to be scaled up, improving economic viability. Other signatories to the charter, which will be launched in Katowice on 10 December, have yet to be announced but are known to include several major fast fashion brands. The charter has been initiated by the UN climate change secretariat. Waste, pollution, deforestation, toxicity in manufacture and carbon-fuelled supply chains combine to make fashion one of the most environmentally damaging industries, and reform is essential if the goals agreed in the Paris climate agreement are to be met. There are signs consumers are driving a move towards responsible consumption. A report by the fashion search website Lyst, which tracked more than 100m searches over the past year, shows a 47% rise in searches that combine style and ethics, such as “vegan leather” and “organic cotton”. Related: Cheap fashion sales threaten the planet. Could online influencers be our saviours? Support for the charter has so far come largely from high street brands. “Fast fashion is responsible for the lion’s share of environmental impact, so they are the most important element in effecting real change,” said McCartney. Sustainability is not immune to trends, and the buzzword in environmental fashion is soil. “We know about the rainforest and about the ocean, but we also need to talk about soil and regenerative agriculture,” said McCartney. 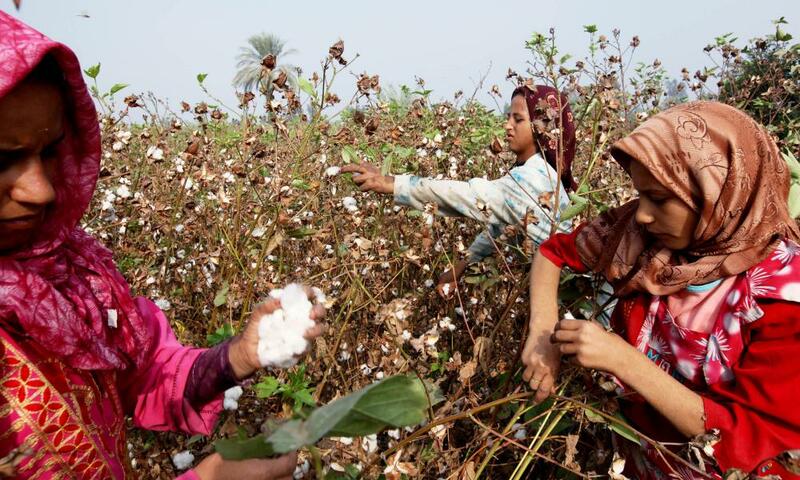 Mass production of cotton, the most widely produced fabric on earth, is inflicting huge damage on soil biodiversity. McCartney will be preceded on stage at the conference by the keynote speaker, Christopher Wylie. The Cambridge Analytica whistleblower will address the growing power of big technology companies, and how the fashion industry interacts with them. On Friday, David Pemsel, the chief executive of Guardian Media Group, and John Ridding, the chief executive of the Financial Times, will address digital disruption and new media audiences.